Most people use Google to search for anything, it is the world #1 search engine. If your website is not rank high in Google, it is almost certainly not many visitors can find your site. We can teach you how to increase your site rank or we can do it for you. More and more people are looking for local businesses. Local search result are changing rapidly. Local SEO can help you to rank well in Google and bring in visitors regularly to your site. We’re here to help you to outrank your competitors. Everyday there are million of new websites created, how do your site want to stand out from them? SEO and Local SEO will take a long time to see result, sometime no result if the industry or locale is very competitive. Paid advertising will give you the result immediately. Almost everyone we know is having a Facebook account. The potential of social media to generate free traffic cannot be neglected. We’re here to show you how to generate effective social media post to increase your site visitors. You do not have enough leads to your decent website? We can perform a thorough analysis on your site, find out what’s is wrong. Then we will provide you a action plan on how to improve your website conversion. If you do not have a website, or your website is outdated, slow and not responsive, we can help you to create a beautiful, modern website that can display on all devices. 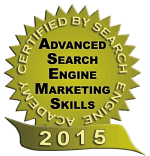 Our search engine marketing (SEM) strategy only work effectively with a decent website. Think of us as your business partner, not a service provider.